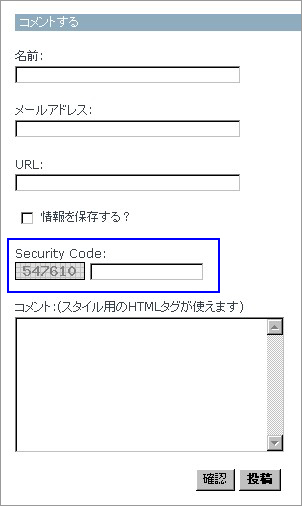 ≫ コメント・スパム対策にScodeを導入 from LiveMore International Inc.
≫ SCodeでコメントスパム対策やっちまう。 from knowledge !! ../../../tmp/ at lib/SCode.pm line 100. Useless use of private variable in void context at /home/www/mt/plugins/SCode/SCode.pl line 57. "my" variable $entry masks earlier declaration in same scope at /home/www/mt/plugins/SCode/SCode.pl line 192. 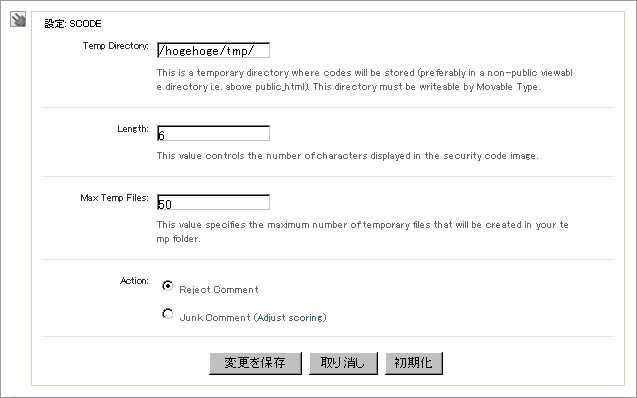 Hi Shuhei Nxxxxxxx, Instructions on downloading, installing and using SCode can be found　at http://plugins.movalog.com/scode/manual If you use Plugin Manager simply enter the previous URL into Plugin Manager to have the plugin automatically installed. I hope you enjoy using SCode and encourage you to support it by donating a few bucks. Also, please feel free to send me any feedback you have concerning this plugin, I will be most interested. I've just discovered a serious bug in SCode that would prevent the code from appearing to your readers. To correct the bug, you can re-download SCode at http://plugins.movalog.com/scode/manual. It is a one-line fix and if you'd rather make the change manually,I've posted some instructions here: http://tinyurl.com/oenwh. Undefined subroutine &SCode::scode_tmp called at /usr/home/kunio-net/www/cgi-bin/mt/plugins/SCode/SCode.pl line 145. Undefined subroutine &SCode::scode_tmp called at /var/www/html/propatent/public_html/cgi-bin/plugins/SCode/SCode.pl line 145.